The 2001 Daimler Super V8 LWB limousine was, for three years, the personal transport of Her Majesty The Queen, who drove it within the Windsor Castle estate and to and from Buckingham Palace, for both private and official functions. Every British monarch from King Edward VII to Queen Elizabeth II has been transported in Daimler limousines. A further 11,000 miles were covered while in the possession of Her Majesty before the vehicle was returned in 2004 to The Jaguar Daimler Heritage Trust, with whom it is still registered today. It is offered by Historics with precisely the same specification as it was then, including its original tyres, and with a mileage of 15,242. 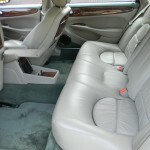 At The Queen’s request, the Daimler features a number of bespoke modifications. 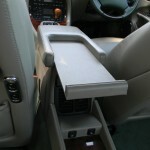 One such is a factory-adapted centre armrest that features a sliding holder specifically designed for Her Majesty’s handbag, allegedly a consequence of having nowhere to put it when driving in the company of the Lady-in-Waiting or security personnel. 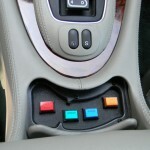 The vehicle’s ashtray has been modified to house the security lighting controls, which remain fully functioning. This includes a set of blue flashing strobes occupying the front fog lamp inserts, alternate flashing headlamps and alternate flashing rear lights. A further feature is a pair of neon blue lights by the rear view mirror, which were used to identify the vehicle in which the Queen was travelling when approaching her destination. 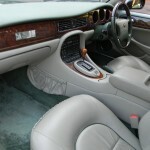 The Daimler, powered by a 4.0-litre supercharged V8 developing 375bhp, is equipped with every conceivable luxury extra and features an opulent soft hide interior with deep lambswool floor rugs. 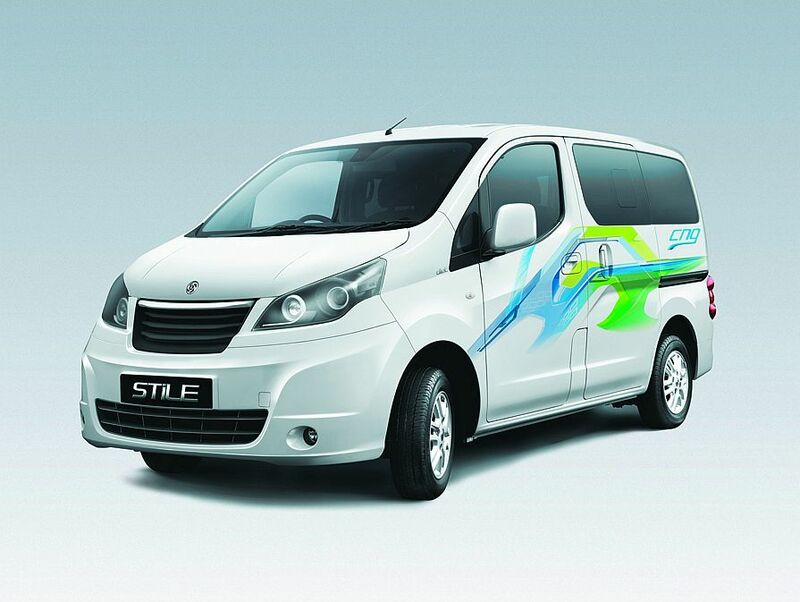 The exterior and interior condition is stunning. The car has a full service history by RA Creamer of Kensington and Guy Salmon of Ascot and is sold with all original documentation, two sets of keys, the original registration number, along with photographs of Her Majesty driving and being driven in it. 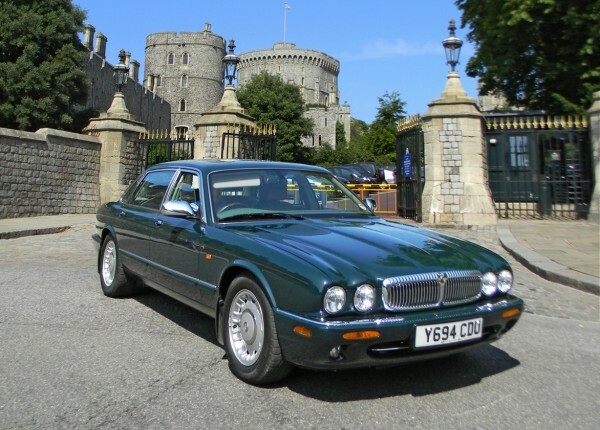 Additionally, the car has a Heritage Certificate from Jaguar and a letter from Jaguar Daimler Heritage Trust attesting to its Royal connection. More information at www.historics.co.uk. Yup. She needs the cash. Almost too low a mileage for the age – and my other fear would be that it would have spent too much time being driven slowly, which is not good for an engine. The flashing blue lights would be useful if you needed to get somewhere in a hurry, though. This car has been for sale on a number of occasions . Whether it actually sold is another matter. I have a feeling that it is just another of those cars which gets passed around the trade, never actually reaching a retail customer ! I prefer the Corgi version. I couldn’t care less who owned it, to be honest! The Daimler Super V8 is the finest of X300s, and one with very low mileage is an added bonus but at £25k, you’re paying an extra £15k for the Liz connection. It wont be the engine you have to worry about Adam , unless of course the timing chains haven’t been done , its the rot underneath ! !